51 cm tall (20 inches). Fantastic detail. Achak meaning spirit. 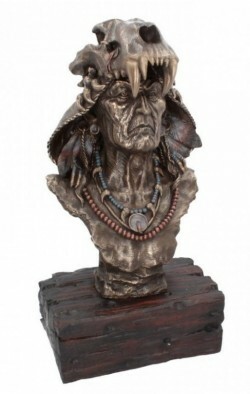 Native American bust. Made from cold cast bronze and hand finished to perfection. Fully felted on the bottom to protect surfaces. A wonderful ornamental horse sculpture for the home.